Sri Adhikari Brothers Television Network, which operates in the field of television programming and program content in India, has decided to raise over Rs 25.50 crore by issuing warrants to various entities on preferential basis to finance expansion plans and for repaying a part of its debt. The company stated in a communiqué that the board of directors have agreed to issue 1.01 crore convertible warrants to promoters and other private bodies corporate entities at Rs 25.25 a piece, aggregating to Rs 25.50 crore. Now “Do Knot Disturb” Zone On Your R-World! The country’s leading telecom service provider, Reliance Mobile, has come up with a new Value Added Service (VAS). As part of its partnership with BIG Pictures, the company has launched a VAS for the upcoming Bollywood film “Do Knot Disturb”. The service is meant for both the GSM and CDMA mobile subscribers of the company. For this purpose, the operator has unveiled a unique “Do Knot Disturb” zone on its mobile VAS platform ‘R-World’. 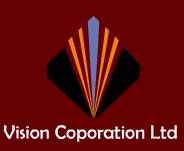 Vision Corporation has announced that it has inked mutual pact with Germany based company GATE Deutschland. Under the pact, GATE Deutschland will be strategic joint venture partner for Vision Corporation's channel business especially entertainment channel for which the company has already got the license from information & broadcasting ministry. As per the sources, the JV partner will invest for the capital expenditure of the new channel and the company will exhibit the channel, and the profit will be shared in the ratio of 50:50. K Sera Sera Productions, a major player in the production and distribution of films in India, has entered into the production of a Hollywood film `Americans in Danger` directed by F. Gary Gray in association with a well known Indian producer. K Sera Sera Productions Limited engages in the production and distribution of motion pictures in India. The company also distributes movies produced by third parties. In addition, it involves in television content production. Country's top film and media services company, Adlabs Films has declared that it intends to alter its name to Reliance MediaWorks Limited subject to necessary approvals. Adlabs Films, a subsidiary of Anil Ambani-promoted ADAE Enterprises, feels that the new name replicates its identity as a diversified film and media services company. Apart from this, the company has also decided to boost the number of screens by over 100 in the next one year. Cinépolis India, Country's first international film exhibitor, has decided to pump around Rs 800 crore in southern India for setting up multiplexes across the four states. The move will make Cinepolis' first largest presence outside Mexico. The company plans to open around 500 screens, out of which 50 per cent of will be in the southern cities, in the next seven years. According to a company official, most of the funds would be utilized for rentals and in developing screens. Real estate player Vardhman Group has revealed that it has established an affordable amusement theme park called 'Vardhman Fantasy' in Mumbai which will be inaugurated in November. The sources informed that the company has invested Rs 15 crore on building the park. According to company officials, the park has been installed on 11-acres of land at Mira-Bhayandar Road. Anil Dhirubhai Ambani Group Indian entertainment firm Adlabs Films Ltd. has notified that its board has approved a rights offer to raise Rs 600 crore ($125 million) by way of equity shares to the company's shareholders. The raised funds will be used for expansion and growth opportunities including investment in various projects in India as well as overseas. Entertainment Network (India) Limited (ENIL) operates FM radio broadcasting stations through the brand Radio Mirchi in 32 Indian cities and is headquartered in Mumbai. ENIL has a wholly owned subsidiary, Times Innovative Media Limited (TIM), through which it operates its outof? home media brand Times OOH and experiential marketing brand 360 Degree Experience. Its promoter, Bennett, Coleman & Co.
Karan Johar's upcoming film 'My Name is Khan' has got an international distributor. 20th Century Fox International will finance and distribute the film featuring Shah Rukh Khan and Kajol. Fox Star Studios is a joint venture between 20th Century Fox and Star. Earlier it marketed and distributed the Oscar winning 'Slumdog Millionaire'. Sources claim that Karan Johar and SRK's Red Chillies will soon officially finalise the deal with Fox. Sun TV Network, has announced that South Asia Multimedia Technologies (SAMT), a shareholder of the company`s arm South Asia FM (SAFL), has increased its stake holding in SAFL to 20%. SAMT, is an arm of Malysia-based Astro, has already owned 6.98% stake in SAFL. At present, Sun TV Network holds 59.15% stake in SAFL. Shares of the company gained Rs 2.7 or 1%, to settle at Rs 271.85. The total volume of shares traded was 25,423 at the Bombay Stock Exchange (BSE) (Monday). Adlabs Films, a subsidiary of Anil Ambani-led Reliance Big Entertainment, has posted consolidated net loss stood at Rs 63.69 crore for the first quarter ended June 2009, against a net profit of Rs 2.32 crore in the same period last year. In addition, the company also witnessed a decline of 54 % in its total income, which dropped to Rs 104.79 crore in the latest quarter, against Rs 228.97 crore in the same period last year. Ambika Soni, I&B Minister, had a meeting with the stakeholders of the media industry on July 23 over the issue of objectionable content of various programs broadcasted on different channels. Some MPs raised objections regarding content of recently launched reality show Sach Ka Saamna by Star Plus. They claim that unethical personal questions were asked by the participants before their family members. MPs demanded that the show should be immediately taken off air as the show was against Indian culture and content of programs should be regulated. DishTV, a prominent direct-to-home company, has announces a price hike of Rs 100 across its Set Top Boxes (STBs) with immediate effect. The hike was considered a necessary step due to an increase in customs duty on the import of STBs from zero to 5 per cent. It should be noted that the central government has recently imposed a 5 percent customs duty on STBs in the union budget for 2009-10. Under the latest amendments, a Dishtv bare Set Top Box would now cost Rs 1,590 as compared to the earlier price of Rs 1,490. A survey of over 1,000 music fans depicts 73 percent of the music fans in England are still content buying compact disks rather than downloading songs online. A survey conducted by Music Ally Speakerbox unveils the fact that in the age group of 14 to 18, sixty-six percent prefer CDs to digital downloading. A major section of all music fans i. e. 59 percent favors listening to CDs rather than online music. Anil Ambani led BIG Cinemas, a part of Adlabs Films, has announced that it has inked an agreement with IMAX Corporation. The company has entered into this pact in order to install a digital projection system in its flagship IMAX theatre. The sources close to the company said that IMAX Dome System, which is currently functioning at BIG Cinemas located at Wadala in Mumbai, will get upgraded with the new digital projection system. The sources further added that the people will get immersive 3D experience on a huge screen (70 ft X 40 ft) with this new system. Planet M, one of India's leading music and accessories retail chain, on the occasion of 'World Music Day' has decided to launch its most awaited 'National Mega Sale' from June 21st, across the country. The company claims that the proposed offer will provide a great opportunity for all music lovers and movie buffs to pick up the latest in music and movies for the coolest discounted prices. Dish TV, a leading Subhash Chandra-promoted DTH company, has announced that it envisages to pump Rs 16 billion in next two years with the aim to expand its distributorship network and product portfolio. According to sources, the conglomerate plans to enhance annual revenue by almost 65% this fiscal in order to achieve a turnover of Rs 12.50 billion. In a separate release, the company has informed that it would be undertaking a campaign to increase its distribution network, besides adding more than 200 channels to its existing portfolio of 240 channels. Wire and Wireless, a leading cable television firm has announced that it has clocked a consolidated net loss of Rs 31 crore during the fourth three month period ended on March 31, 2009. During the quarter under review, the consolidated net sales of the company has also witnessed downward trend to Rs 71 as compared to Rs 81 crore of December quarter of previous fiscal. For the year ended March 31, 2009, the Essel Group firm has recorded a consolidated net loss of Rs 94 crore, while the same was at Rs 151 crore a year earlier. Dish TV, a leading DTH conglomerate, has declared the results for the fourth quarter ended on March 31, 2009. The company stated in a communiqué that it has recorded a net loss of Rs 78 crore for the fourth quarter ended 31 March 2009, as compared to loss of Rs115 crore in the same quarter last year. In a filing to Bombay Stock Exchange (BSE), the company said that its total income surged by 51.98% to Rs 207 crore in the latest quarter. The company had a total income of Rs136.29 crore in Q4 2007-08.